A number of clubs in various areas have been successful in obtaining funding from KiwiSport to deliver orienteering. The main mechanism of delivering events is to run after-school sprint orienteering events, using electronic timing (SPORTIDENT). This event concept has been highly successful in Auckland in particular, and all school aged kids from the areas can enter and compete in these events. SPORTIDENT ECARDS are available for hire. Many regions throughout New Zealand have regional championships for foot orienteering that usually take place in either term 1 or term 2. There are regional variations for the type of events that have regional championships, and when they are held. The North Island Schools Championships and the South Island Schools Championships are held each year in the holidays after the end of school term 1. These events often take place at the same time, but not always. The event is usually held towards the end of the holidays, however this can change depending on when Easter is. The New Zealand Schools Championships are held each year in the holidays after the end of school term 2 and hosting of the event alternates between the four main orienteering areas around New Zealand (Central Districts, Wellington, Auckland and South Island). The event originally was exclusively for secondary schools and included just a Long distance (“Classic”) and also a Relay. However in recent years there has been a formalisation of the Year 7 and 8 grade, and the regular inclusion of a Sprint distance event. In addition to the individual and relay events, there is also a Top Schools competition, a Premier Schools competition and a Small Schools competition. Each competition has its point scoring rules and factors in results from each grade for secondary schools only, as not many schools have Year 7 and 8s. The NZ Schools Championships are also used to select schools to compete at the World Schools Orienteering Championships, with selections made by grade. Since 2003, New Zealand has been able to send a team to Australia to compete as part of the Australian Schools events, competing in the Southern-Cross Challenge against the states of Australia. Teams of 8 males and 8 females are selected with two grades (Junior and Senior) where the New Zealand Intermediate grade is split, with first year Intermediate being Australian Junior, and second year Intermediate being Australian Senior. The New Zealand Schools Championships are used as the trial for making this team, with the team competing over in Australia generally in the holidays at the end of term 3. Since the inception of the challenge, New Zealand has won the Southern Cross Challenge every year, including 2013. 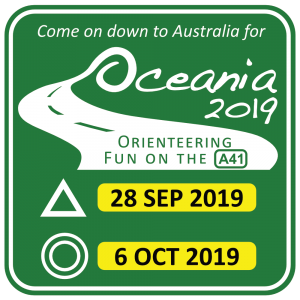 The event rotates between the Australian states so it is a great opportunity to get exposure to orienteering throughout Australia. There are also other occasions where a New Zealand Schools team is selected to compete against a full Australian Schools team. This usually happens as part of the Oceania Championships that are held every second year. 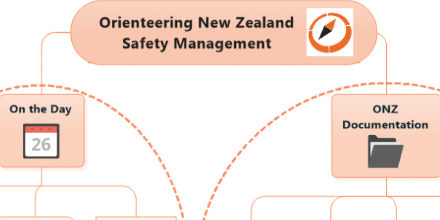 Orienteering NZ and the Orienteering Australia are looking at ways of making this event occur more frequently on New Zealand soil. Each year there is a Junior Camp held. For more information on this take a look at the Juniors page. It is important to note that to partake in this individuals need to be members of orienteering clubs. Other major schools events that are being looked into include a New Zealand Schools Rogaine Championship, which will likely be held with a course time of 3-6 hours depending on the grade.